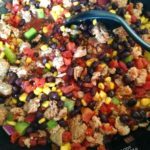 Turkey taco skillet is a 21 Day Fix weeknight dinner, prepped and on the table in less than 20 minutes! 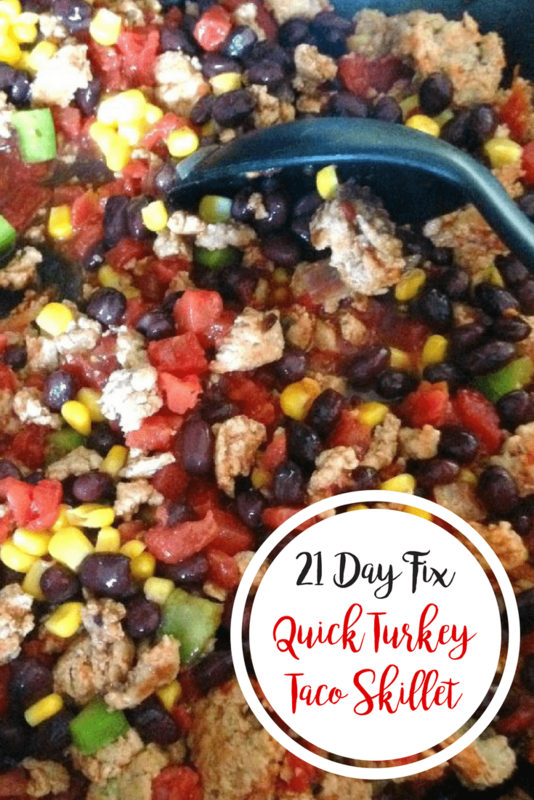 Confession #21- This quick turkey taco skillet isn’t what I planned to make for dinner. But my morning got away from me and my crock pot meal, well, never made it into the crock pot. That’s why everyone needs quick meals like this in their arsenal. I wouldn’t even call it a recipe. I just threw a bunch of pantry ingredients together with some ground turkey. 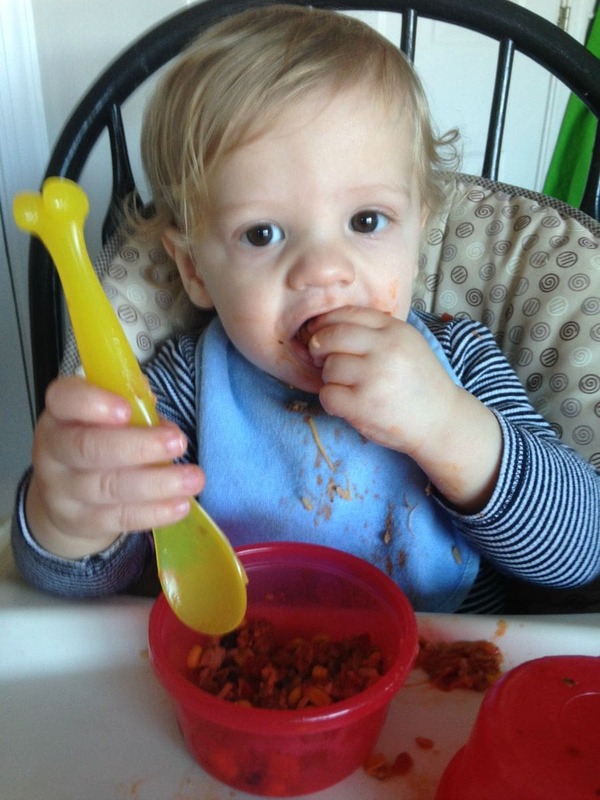 My one year old couldn’t get enough…he’s so easy to please! 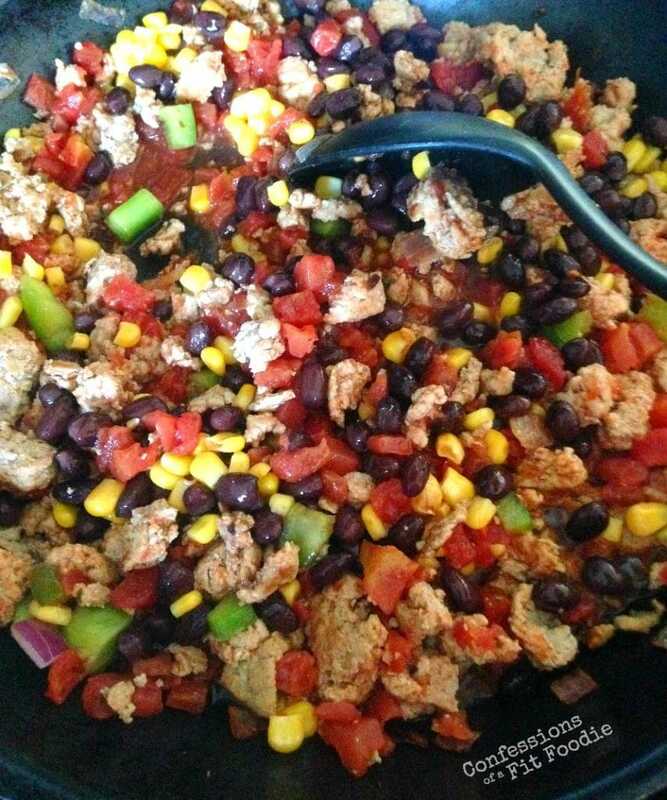 Here’s the turkey taco skillet recipe. Enjoy! Spray pan with cooking spray and sauté a little onion and green pepper. Add ground turkey. Cook through. Add a can of petite diced tomatoes with spicy jalapeños, as well as the beans and corn. Sprinkle some chili powder, cumin and garlic powder to taste. I probably use a 1/2 tsp for each. Cook until everything is hot and tomato juice has thickened slightly. Divide into 4 equal servings and eat alone, over rice, with cheese, avocado…whatever your little heart desires. Yield 4 servings – 1 serving = 1 RED 1/2 GREEN 1/2 YELLOW (I topped mine with cheese AND avocado, obviously – added 1/2 BLUE). I tired this tonight…with a few modifications! Thanks for the idea. This will be awesome leftover too! If you don’t mind me asking how big was your serving? 1 container or two? and which 1? Is the 1/2 blue from the added toppings or from one of the ingredients? I can’t figure out where the 1/2 blue cones in! 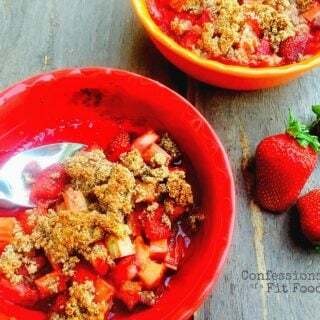 This recipe is delish by the way! I can’t get enough!! Thanks! On step 2 and 4 when you say measure using your containers…. what exactly are we measuring? Are we measuring how many containers are in the lb of turkey and how many in the can of beans and corn? I’m sure I’m just missing something. Can’t wait to try this! 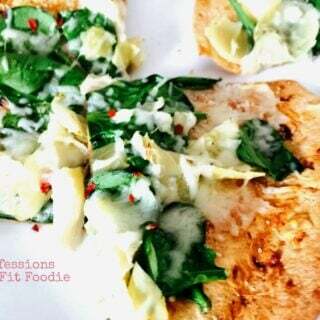 Thank you for your comment – this recipe really needed updating (it was one of my first ever)! Hope the revised directions make more sense to you!! It’s 1/4 of the pan! So I was all ready to make this, but realized I don’t have black beans! I have kidney beans, think that would be ok still? 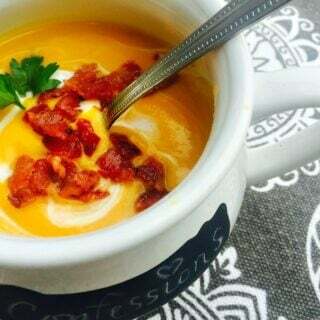 I’ve made this before and lovesd it, but never with kidney beans.